The months of meetings and endless discussions that have gone into shaping new Formula 1 power unit regulations for 2021 have led to an impasse. That's the scenario currently unfolding after current manufacturers put a spanner in the FIA and Liberty works last week. They appeared to have gone along with plans for what Ross Brawn termed a "simpler, cheaper and noisier" power unit, and reluctantly accepted the loss of the MGU-H. Last week's F1 Strategy Group meeting was actually supposed to be one of the final exercises in box ticking, prior to the final signing off of the new rules. Instead, during what in World Cup terms might be called the final minutes of injury time, the manufacturers have jointly lobbed a free kick over the wall and into the back of the net. In effect, they are saying, "We're not so sure that we want to do this - can we keep what we have after all, but maybe with a few tweaks?" 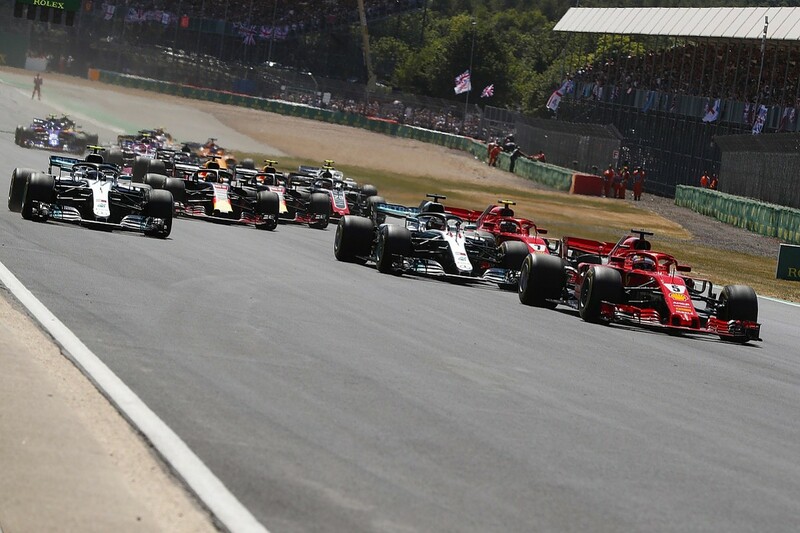 This is clearly a very delicate stage as the FIA, Liberty and the teams navigate their way towards F1's new 2021 world. The fast-tracked aero changes for next season showed that all parties can, more or less, work together for the greater good. But this is a much bigger test, and it's not in anyone's interest for the current divergence of views to be seen publicly as a conflict. But there's no other way to describe the situation. It was back on October 31 last year that the FIA and F1 jointly announced a "road map" for the new power unit, to be introduced in 2021, alongside new commercial arrangements, sporting regulations and a major package of new chassis regulations. Some wanted a return to noisy and simple V10s or V8s - Red Bull boss Christian Horner always made his feelings clear on this - but it was destined to be based on hybrid technology and the current V6 turbo layout. In order to keep a lid on development costs, the capacity would stay the same, but crucially the MGU-H would be gone, with more emphasis on the MGU-K, while revs would be higher. Somewhat controversially, there was a push for standard parts, something to which Ferrari and Mercedes soon indicated their opposition. It was all very logical. In the accompanying statement Brawn made it clear, "We've carefully listened to what the fans think about the current power unit and what they would like to see in the near future", adding that it "will create the conditions to facilitate new manufacturers to enter F1 as powertrain suppliers and to reach a more levelled field". It was made clear that part of the rationale for change was to attract new manufacturers. Porsche was involved in the discussions, along with smaller engine suppliers such as Ilmor, throughout 2017. Porsche even indicated it would return to F1 if the rules went in the right direction. That original October F1/FIA statement made it clear that there was still a journey ahead of those rules being finalised, and that the full detailed regulations would not be issued until the end of 2018. That was to protect the manufacturers from themselves by ensuring that they could not launch full-scale R&D efforts any earlier. The 2019-20 period was felt to be sufficient to be ready for Melbourne in March '21. Nevertheless, the key elements were supposed to have been discussed, defined, agreed and published by now. Instead, the whole process is in limbo. 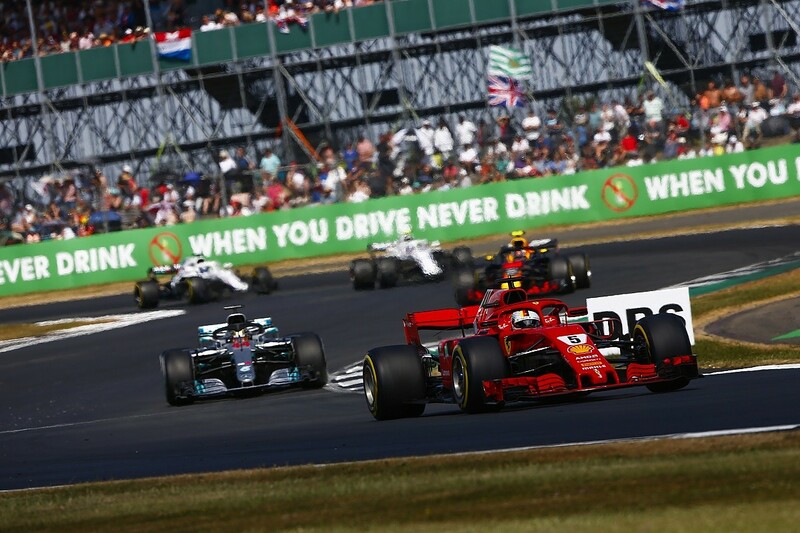 The existing manufacturers indicated that they were willing to go along with the changes that were deemed to be good for F1 as a whole, and in particular if it brought new ones in. Everyone can see the benefit of having Porsche involved, not least Mercedes. You always want to be beat the best. But Porsche has made no decision on how or if it would progress, in part because the wider Volkswagen Group has its hands full with the ongoing emissions scandal. It looks ever less likely that it could be ready for 2021. Honda's torrid experience has also probably sounded a few alarm bells for any manufacturers that have thought about F1. 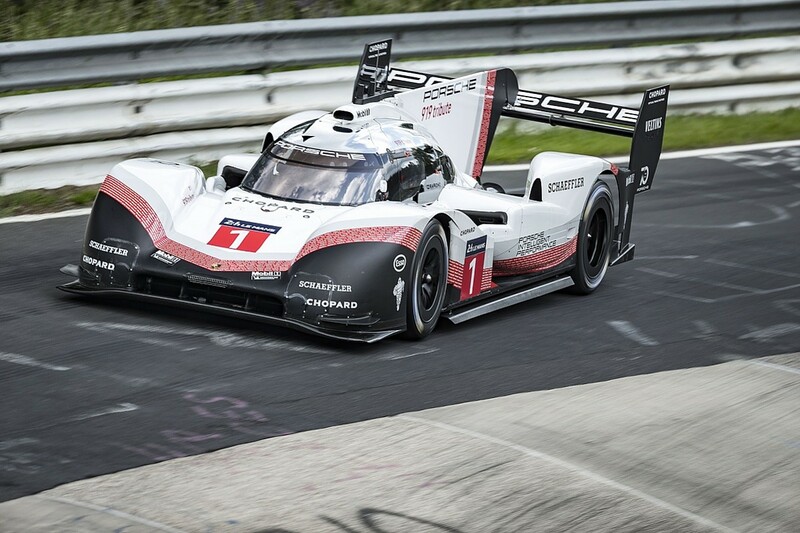 To be fair, Porsche has a headstart in that it has facilities and resources in place from its former World Endurance Championship project, as well as the extensive hybrid experience that provided, whereas Honda had to create an F1 facility as well as a power unit. 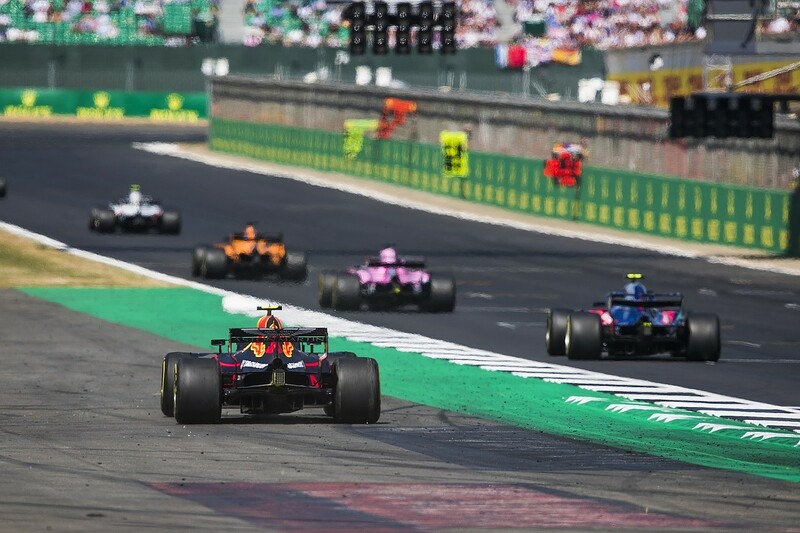 Having now had time to assess how much they must spend to adapt their existing technologies and stay competitive, the four current manufacturers have realised that costs are not insignificant, even if one of the aims of the FIA and F1 was to keep a lid on expense. So why spend all that money if no newcomer is on the horizon? On top of that, Red Bull has now signed a works deal with Honda, so the impetus to find one of the sport's biggest players a potentially competitive power unit, and increase the competition for Mercedes and Ferrari, has gone. The bottom line is that the manufacturers now want to keep as much of the current technology as possible, rather than bin much of it after just seven seasons - and that includes the MGU-H. Within that basic hardware package, they are willing to show some flexibility, on revs and fuel usage for example, to provide a better sound and some extra power. The talks continue heading into extra time. "It's not decided yet," Mercedes boss Toto Wolff noted last weekend. "It's very much in discussion. We're willing to look at it for the overall benefit of F1, but at the moment we don't think there's a big incentive for anybody to change the regs massively - it will just trigger another spending war. "We had a presentation that would have meant a redesign of the engine. Redesigning an engine without anybody else entering doesn't make a lot of sense. So, if somebody would commit to come into F1 in the way that all four of us have committed ourselves - go through the lows and highs, the expenses and investment that it needs - then let's discuss engine regulations. But if nobody's inside, it's an academic discussion." 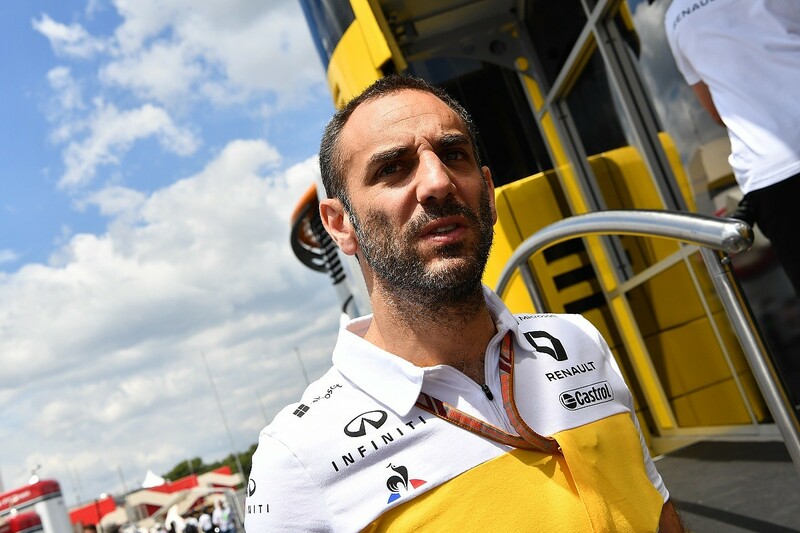 "We are all in the same situation," Renault boss Cyril Abiteboul added. "We have all invested lots of budget and time and resources - to a different level of competitiveness. We are all extremely focussed and working hard on improving the performance of the existing engine. "Clearly having to start thinking about another engine, while we also have the emergency of the short-term competitiveness of our teams, is just going to be more complexity and a distraction." Abiteboul stressed that there are different ways of achieving the FIA and F1's goals of simpler, cheaper and noisier engines. "There is ongoing discussion about the best way to reach a certain number of objectives that have been set and agreed between all stakeholders," he said. "And that we continue to confirm. As always, for a given objective, you can do a variety of solutions. "These various solutions are now being discussed, taking into account a number of developments - the manufacturers that are currently in, the ones that are not in, the priorities for F1, the performance convergence, which is happening, if not fast enough - and the risk that is associated with a change of rules. "It's all these elements that we are constantly monitoring and taking into account to get to the best solution in order to reach our objectives, which have not changed. "It doesn't mean that the engine will stay the same, it doesn't mean also that we can't improve the existing engine. But I think there is a more time-efficient and cost-efficient way to improve the existing engine, than to do a new engine." Abiteboul made the observation that stability tends to brings about performance convergence and reduces costs. It is an unnecessary R&D spending war - that will inevitably erupt should the original package of changes be pursued - that the manufacturers want to avoid. "We should always give priority to stability," he said. "It's the baseline for everything, particularly in F1, which is such a competitive and therefore expensive environment. "That's true for the engines, that's true for everything else, for aerodynamic development, and so forth. I think we underestimate the benefit of stability for the cost for the manufacturers, also for the teams. But also for the show, for performance to be close enough so that we have close racing, close action. 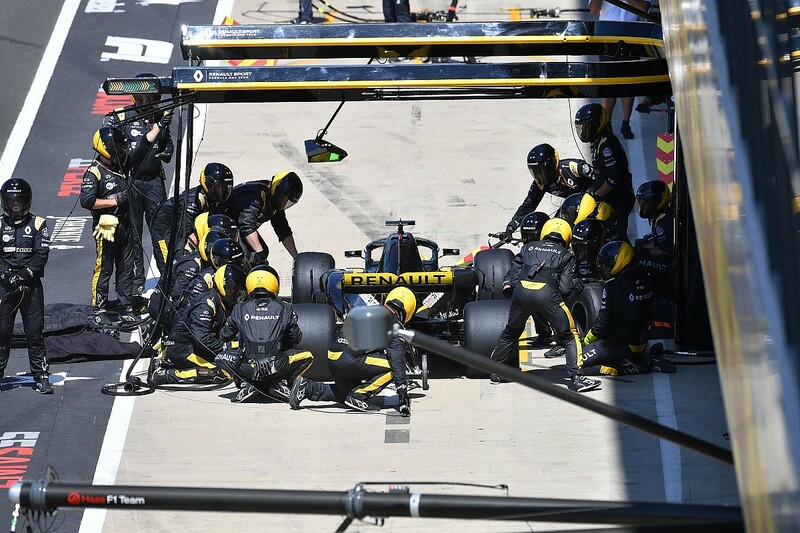 "Silverstone was exciting because of such a narrow gap between two cars. And we would like that narrow gap to happen more frequently, and between 20 cars. There is nothing better than stability." It's inevitable that the loss of the MGU-H has become a focal point, but Abiteboul believes it would be wrong to get too hung up about one piece of kit. "I don't understand the link between the MGU-H and the objectives," he continued. "The objectives are that we need power/weight formula cars, we need it to be cheaper for manufacturers and for teams, and we need it to be good for the show, and therefore more noise, and performance convergence. The question of whether we have an MGU-H or not is completely irrelevant to these three aspects." He certainly doesn't see its removal as a contributor to addressing costs: "Right now we have an engine that is with an MGU-H, so developing an engine without an MGU-H is going to be more expensive for everyone. "The approximate cost of building one engine is €1m. The cost of an MGU-H - you're talking €40,000 out of €1m. If we remove the MGU-H it's going to be €960,000, whilst if we maintain the current technical definition, naturally the bill will decrease with stability." Finance is also an issue for the customer teams, who naturally fear that the 2021 engines will end up costing more to develop and that that might be reflected in what they are required to pay. They have no real say on what direction the power unit rules will take, but they know it will impact them. "What is the guiding principle?" Force India boss Vijay Mallya asked at Silverstone. "The engine must be simpler, must be louder, and it must be cheaper. These parameters have to be met, otherwise any change will cost small independent teams like us even more. Because the big manufacturers have to spend money on development. They will then recover it from us, so we pay more. "It was also designed in the hope that there would be independent manufacturers coming forward. There's nobody in sight. So, it begs the question, what are we doing, why are we doing it, and what purpose is it serving?" Not so long ago, Red Bull would have been open to anything that attracted new manufacturers, and thus created new power unit options. The VW Group has a long history with Red Bull, making a Porsche tie-in logical. Meanwhile, sponsor and Valkyrie project partner Aston Martin has also shown an interest. But now, for the next couple of years the company is fully aligned with Honda - and having finally got a handle on the current rules the Japanese manufacturer is not keen on too much change, which means keeping the MGU-H. 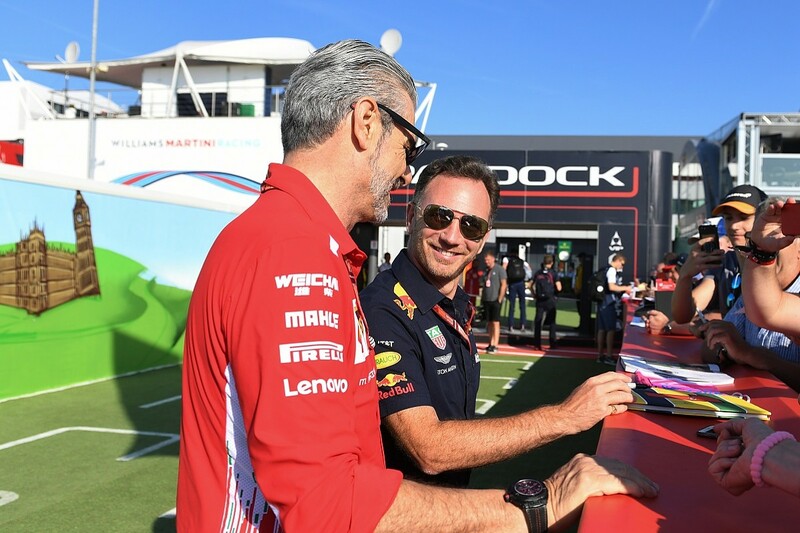 When asked by F1 boss Chase Carey in the last meeting what Red Bull would do if Honda didn't stick around for 2021, Christian Horner apparently said, "Probably pull out". Keeping Honda onside is therefore a priority. "Ultimately the governing body and the commercial rights holder have got to do what they believe is right for the sport," Horner subsequently explained. "It doesn't look like there's anybody new coming in, so really it's down to the FIA and Liberty to decide, what do they want?" The FIA has always generally preferred a greater level of technology than Liberty - the former's engine specialist Gilles Simon was one of the architects of the current rules. But both parties are committed to change, and have worked long and hard on making it happen. They are obviously not happy that their efforts may yet be scuppered, and certainly Jean Todt is not the sort of guy who make U-turns without good reason. The question now is whether all concerned can see a bigger picture, and find an agreement. "What's clear is the objectives that we all agreed," said Abiteboul. "And the fact that we need to work towards a solution in order to reach those objectives, and monitor the existing regulations against those objectives. "It's not that we are starting to question those objectives, or the intent of the way that we are working with FIA and F1. We are not. But we need to keep steady, keep being collaborative and open-minded, and not blinkered regarding one particular solution, and wait to see what the FIA and F1 will see is the best interests for all parties. We are waiting to hear back from them." Various suggested deadlines for confirmation of the basic 2021 regulations, most recently cited as the end of June, have passed. But there is still time ahead of penalty kicks for the original intention of getting the full technical details issued at the end of 2018 done, even if that means meeting after meeting in the coming months. "I don't think we should put pressure on the timing," Abiteboul concluded. "What matters is having the right solution, rather than a solution by the end of June. We should relax the constraints of the timing a little bit, and instead make sure that we are doing the right thing for F1."